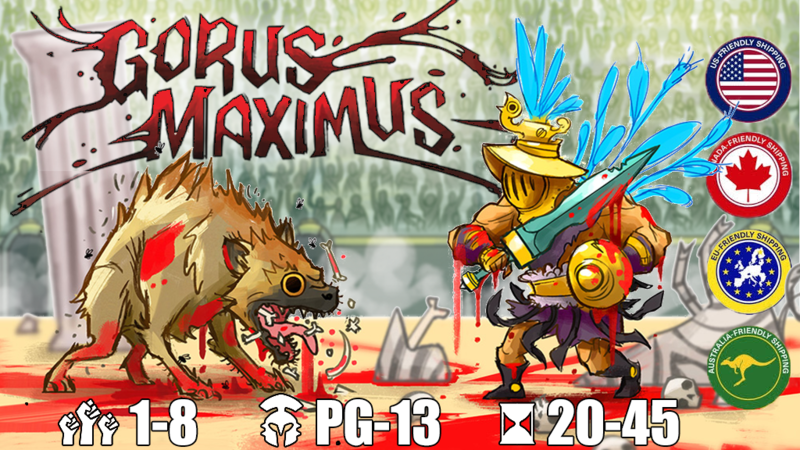 See Gorus Maximus on Kickstarter! 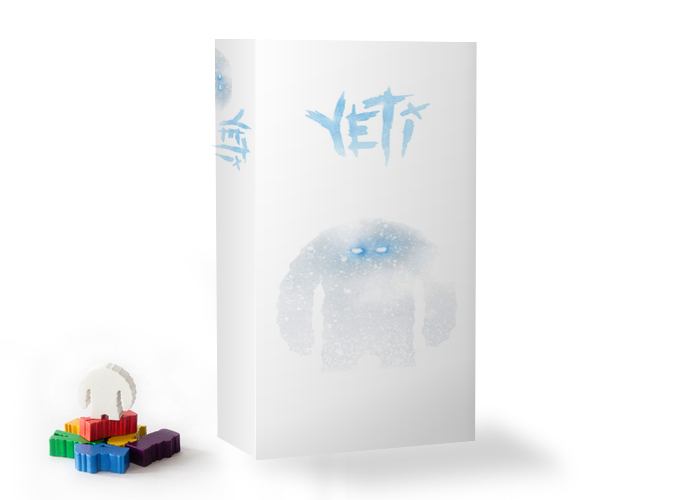 Fully funded and wonderfully stretched. 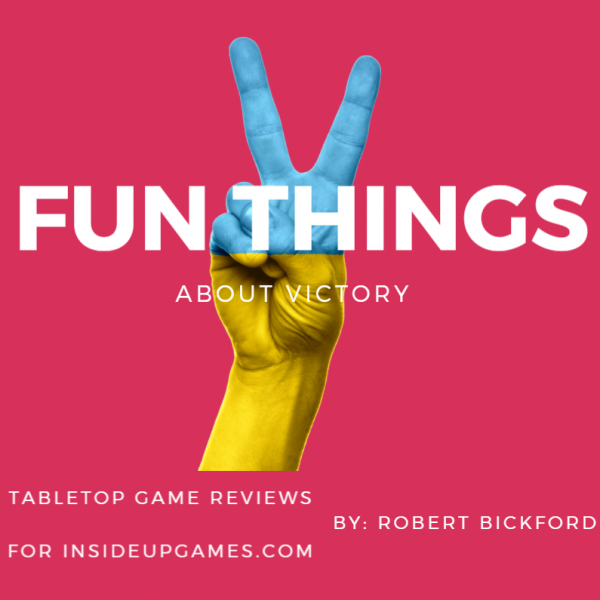 Gorus Maximus is a trick-taking game of gladiatorial combat for 1-8 players! Dispatch gladiators & beasts in an effort to earn Crowd Favour. Match the last gladiator’s rank and the trump suit changes mid-trick! Solo, Free-For-All or TEAMS! 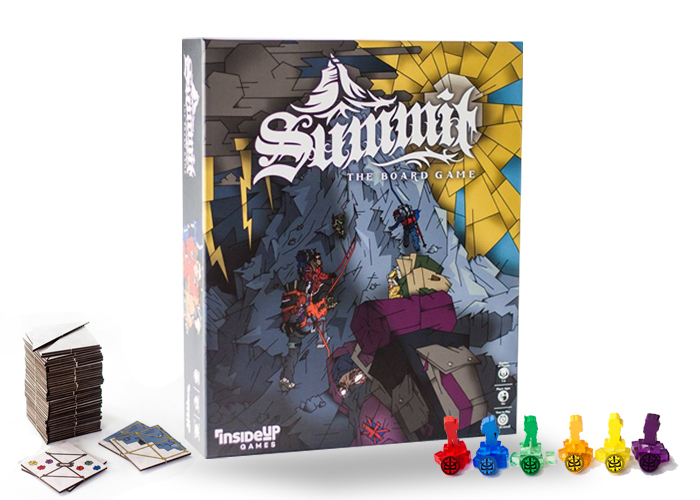 Summit’s Yeti expansion brings a new level of excitement and distress to your expedition as you, your friends and your rivals are stalked across the frozen landscape by an unrelenting foe. 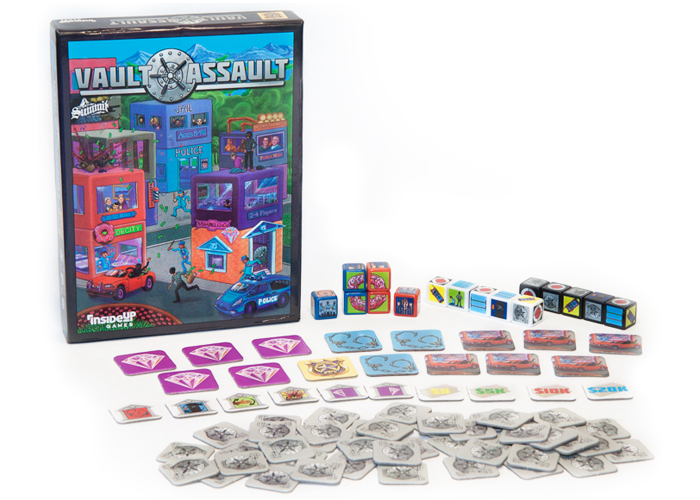 Vault Assault is a frenetic “Cops & Robbers” dice game in which players will take turns stealing the diamond, looting the bank, or chasing down the thieves! Stay in the loop! Join our newsletter.